The henna stall was very popular at Diwali on the weekend. 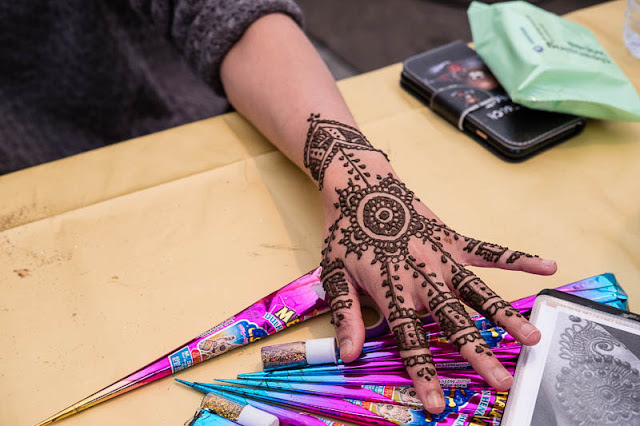 A little trivia around the henna tattoo, when being decorated for a wedding the bride is keen to have the darkest stains possible as this means they will have a happy marriage and a better mother-in-law. Ha ha, i hope that works. I wonder how such a superstition got started. Anyways, I just followed your blog. :D Let's support each other. Thanks! Henna art is lovely. Love those hands.